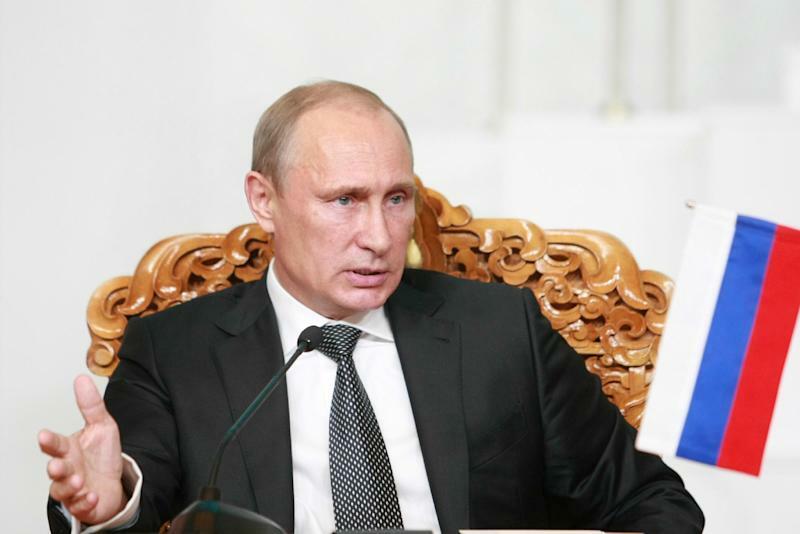 Moscow (AFP) - Islamic State militants have issued a threat to President Vladimir Putin, vowing to oust him and "liberate" the volatile North Caucasus over his support of the Syrian regime. "And we will liberate Chechnya and the entire Caucasus, God willing," said the militant. "The Islamic State is and will be and it is expanding God willing." "Your throne has already teetered, it is under threat and will fall when we come to you because Allah is truly on our side," said the fighter. "We are already on our way God willing." The Kremlin fought two wars with separatists in Chechnya over the past 20 years. The unrest has since engulfed the entire North Caucasus including Dagestan and Ingushetia where attacks on authorities are a regular occurence. The Islamic State, a Sunni extremist group, has gained prominence in recent months, declaring an Islamic "caliphate" in regions under its control in Iraq and Syria. The militants stirred a global outcry last month when they beheaded US journalist James Foley. The fighters said on Tuesday they had beheaded a second US journalist, Steven Sotloff.